A very rare pattern version of an adopted design, signed by the engraver to the right of the wreath. 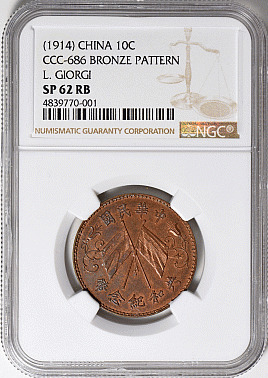 One of only two examples to be given an red brown designation and the example graded as a specimen by NGC. From the Cherrywood Collection.